There are many non-monetary ways to support our work. Your donation of in-kind gifts and services is an essential part of our ability to provide for those we serve. If you are a provider of professional services who would like to donate time to the Mission, please contact Rev. Deborah Chambers, Vice President, Development & Partnerships at 202-827-3078 or email dchambers@missiondc.org. Working with us can be an excellent way to build skills and experience. We are currently in need of professionals in the following fields: medical, legal, carpentry, grant-writing, HVAC and plumbing, auto maintenance and repair, photography, literacy tutoring, elevator maintenance and electrician. If your business, church, school or organization would like to donate food, toiletries, clothing, furniture, computer equipment and accessories, or other items on a regular basis, please email info@missiondc.org or call 202-745-7118. You may deliver clothing and food items directly to the Mission between the hours of 7 AM and 7 PM, seven days a week. Click here for information about our current drives. 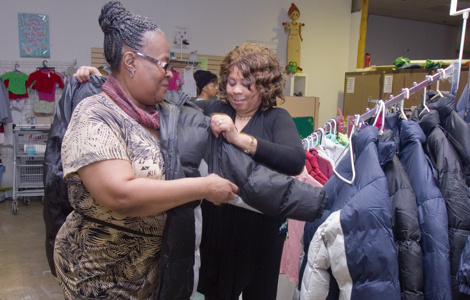 For more information on clothing donations, please email Tervin@missiondc.org or call 202-745-7118 ext.411. For more information on food donations, please email info@missiondc.org or call 202-745-7118. We need your help to provide care packages year-round for overnight guests and program participants. To read more about this program click here or more information about the program and a list of items, contact Tracy Duncan at 202-745-7118 ext.260, or email tduncan@missiondc.org. The Mission has an urgent need for laptop and desktop computers for our learning centers and for program graduates. If you have gently used technology equipment in good working order, please email info@missiondc.org or call 202-745-7118 to schedule an appointment for delivery. If you would like to donate your car, truck, motorcycle, RV, or boat to Central Union Mission, click HERE.